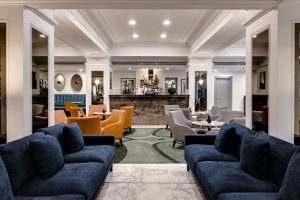 The level two restaurant will have new-look interiors, playing on a spectacular 10-storey atrium, which fills the space with natural light and is complemented by magnificent chandeliers. The Boardroom’s rich palette of timber, leather and stone provides an elegant space ideal for a private dining experience or a business meeting. The original ballroom is ideal for sophisticated weddings. 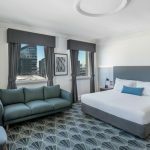 TFE Hotels Chairman Allan Vidor said the refurbishment, combined with the hotel’s unbeatable location, would position it as the most desirable stay in the heart of Melbourne. Woods Bagot is famous for remarkable hotels world-wide and lifestyle and commercial projects such as Sydney’s The Ivy complex and Melbourne Convention & Exhibition Centre.